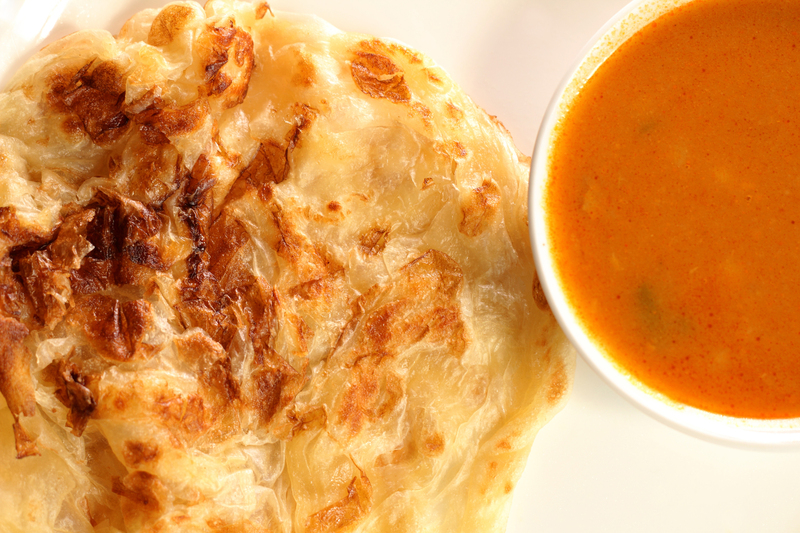 Eaten for breakfast or supper (or anytime during the day, really), roti canai is one of the favourite dishes of KLites. 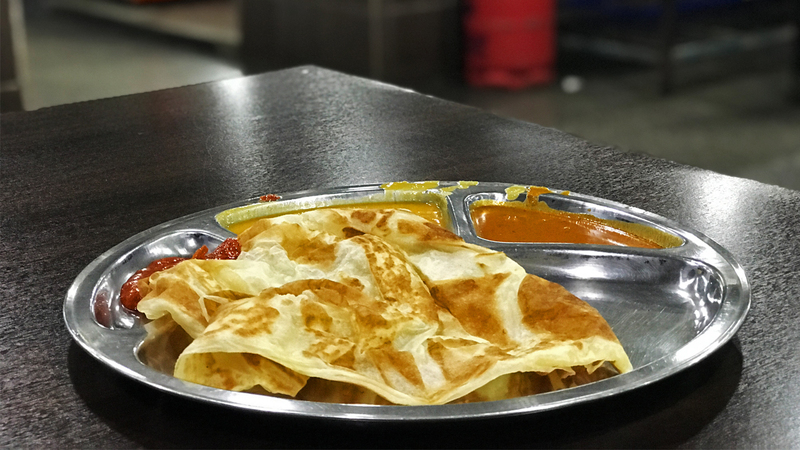 Sure, it’s not something health fanatics will advocate, but when you’re hungry and have less than RM5 in your wallet, nothing fills you up better than a serving of crispy, hot roti canai served right off the pan. Here are some of our favourite places to have them. 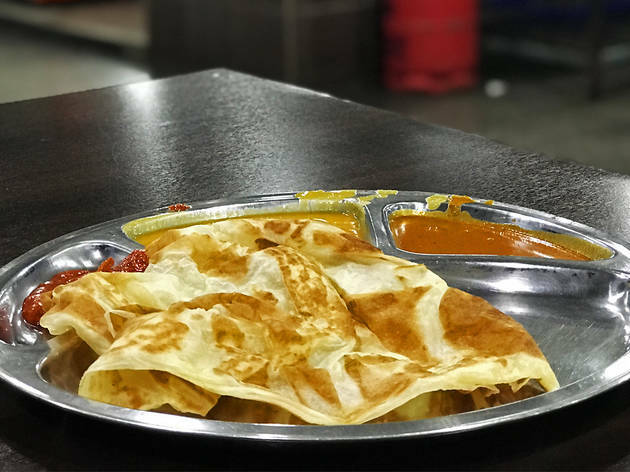 Named after its owner, this restaurant has been serving up what they consider to be the best roti canai in KL for more than 20 years. 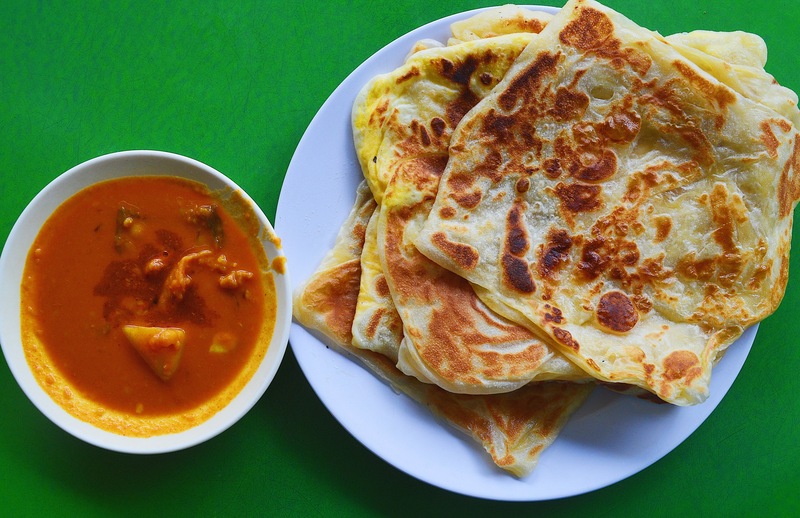 And we find it hard to argue – the plain roti canai here is generously sized and has all the qualities of a good roti: crispy on the outside, soft and chewy on the inside, with a mild doughy sweetness that keeps you going back for more. Remember to order your roti as 'garing' (crispy); or go for the made-to-order roti telur or roti planta instead which will ensure they arrive at your table hot and crispy. The restaurant is popular among night-owls seeking a pre- or post-clubbing bite, so expect a crowd on Friday and Saturday nights. The guys at Selangor Mansion came up with this eggs-tra special roti banjir to beat all other roti banjir. 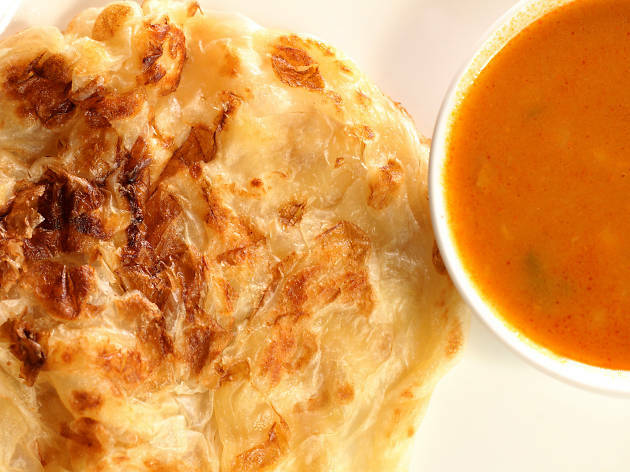 Fluffy roti canai is topped with dhal, sambal, kuah sardin (or opt for chicken curry that’s only available at night) for some saltiness, and the crowning glory – not one, but two twice-boiled perfectly wobbly eggs. Order a glass of teh tarik to go with this food coma-inducing dish. 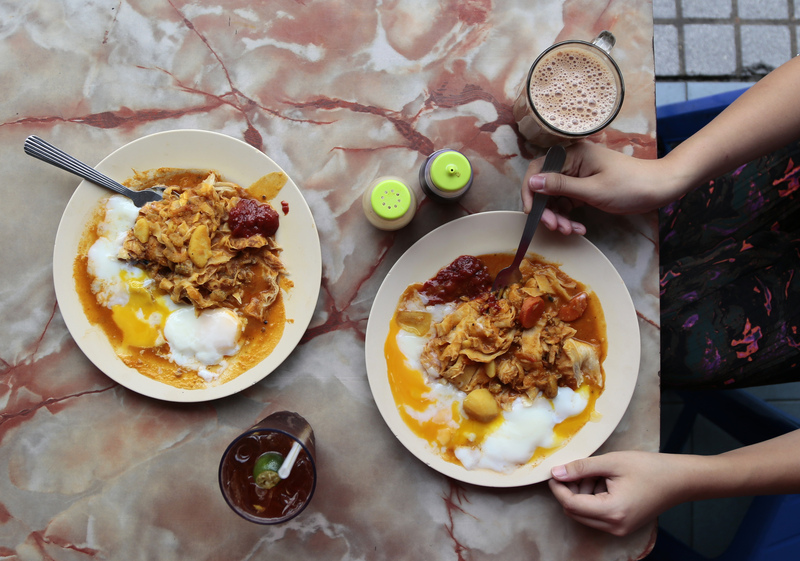 Having been around for 34 years, Lan Roti Canai is practically a landmark in Bangsar. 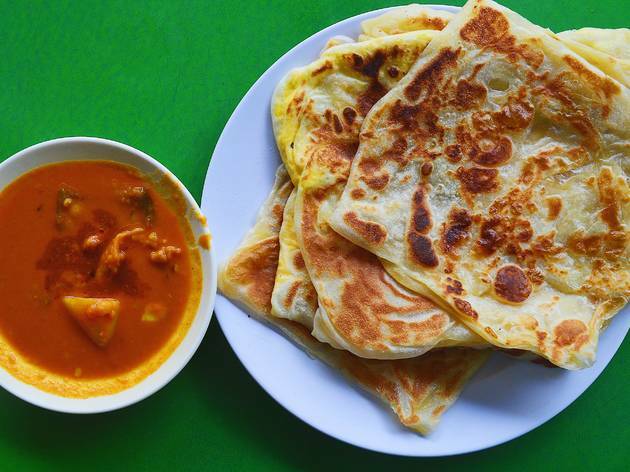 They’re known for their plain roti canai, which costs only RM1 and is not only soft on the inside but also flaky on the outside. The rich dhal that accompanies the roti has a spicy kick when mixed with sambal. Things get really busy between 7am and 9am, so it’s best to come sometime before or after if you want a slow and calm breakfast. 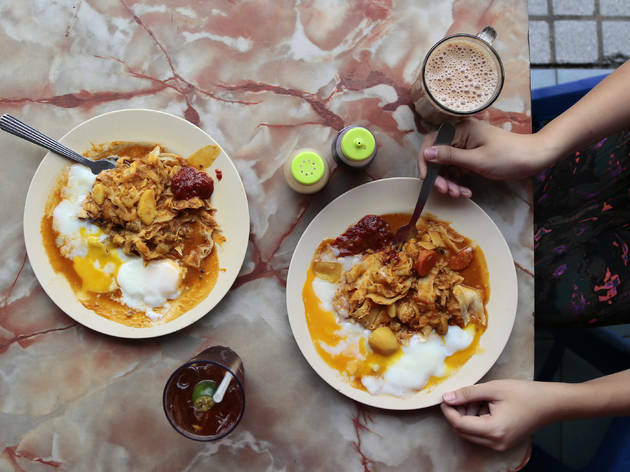 Located in a residential area in Klang’s Pandamaran, IV Restaurant is a hallowed name for roti canai in many Klang (and some say PJ and KL) circles. Made fresh to order, the flatbread is delightfully garing on the outside with a pillowy, fluffy centre – the perfect roti, if you will. Prepare to wait at least 15 minutes for your roti, especially if you're there during the weekend; after all, you're breaking bread with hungry Klangites. Which is your favourite roti? 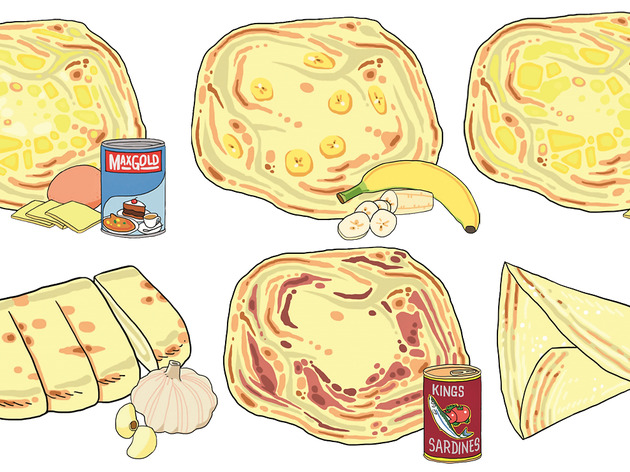 Roti isn't just plain. 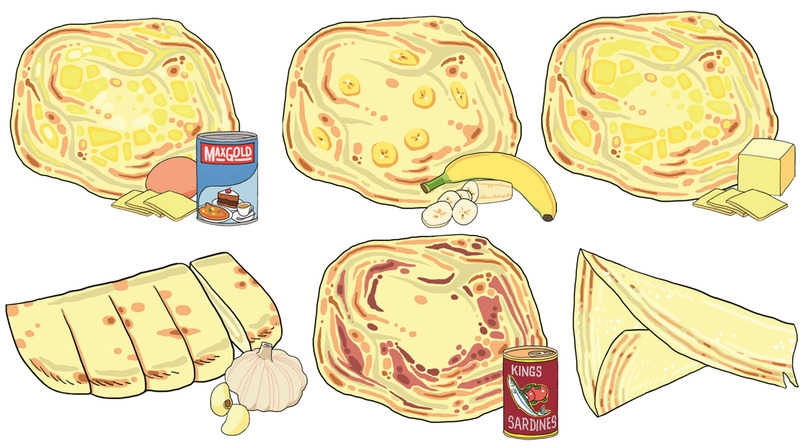 In our guide, we give you the lowdown on the ten different types of roti you can find at the mamak – from conventional roti canai and roti sardin to the more inventive roti Hawaii and roti Fujima.